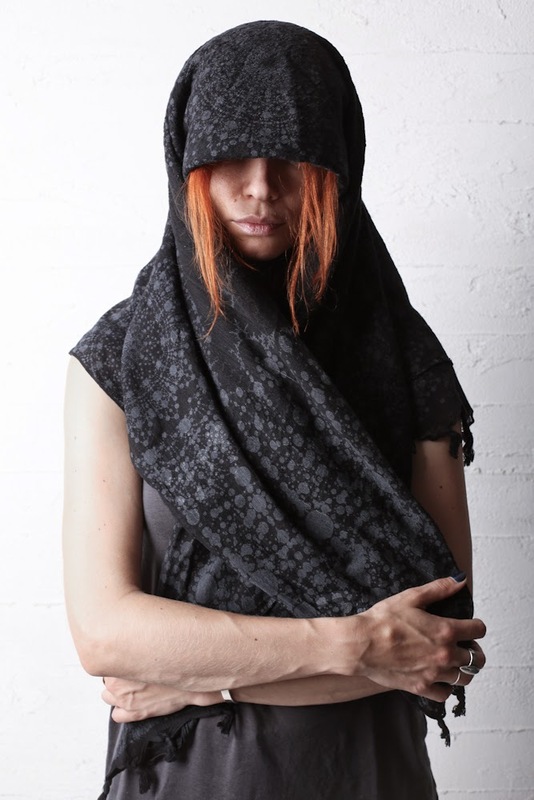 The EKLYPS Keffiyeh is printed on a section of 42"x42" all weather cotton & has been hand screened fourteen times front & back with a subtle grey discharge print. The imagery, embellished with multiple ornate mandalas built out of cascading fractal forms, represents the the miniscule space that humanity occupies within the universe; wrapped in the infinite blanket of gravity. The keffiyeh or kufiya (Arabic: كوفية‎ kūfiyyah, meaning "from the city of Kufa”), shemagh (شماغ šmāġ), cemedanî (Kurdish: جه مه داني), sudra (Hebrew: סודרא) has its origins in Middle Eastern societies servings as practical protection from sun & dust, as well as personal statement & or broader political stance.